Providing recognised independent CPD accreditation compatible with global CPD principles. Our CPD courses and are designed for teachers and teaching assistants who support children with special educational needs, to improve learner outcomes. The course content is online, which means that you can start learning as soon as you enrol, anywhere at any time. Each course provides an understanding of a different SEN or disability, real life case studies, practical assessment ideas, and intervention strategies that can be used immediately. By setting SMART goals for a learner you support, you’ll quickly start putting your learning into practice. Each course takes approximately 20 hourse to complete, and most are CPD certified. For those with less CPD time and smaller budgets, Guided versions of our courses (not including the sensory courses) are available. These do not include specialist tutor support; however, you’ll still receive guidance on your SMART goal setting. Our courses are designed to be user-friendly and engaging, with quizzes, animations and touches of humour. Their content is written, and updated regularly, by SEN specialists and educational psychologists. They’re outcome-focused – helping you to gain an improved understanding of your learners, so that you can support your learners to achieve improved outcomes. Resources help you to enhance your learning further, and support you as you develop your practice. Forums give you an opportunity to take part in discussions and share experiences and best practice with others. When you’ve met the course requirements, you’ll be issued with a certificate of completion. * Guided learners will write one SMART goal. These four short courses are free to anyone. They don’t follow the same structure as our other courses, and they are not tutored. The course is aimed at the parents* and carers* of children with autism. However, the content, including lots of videos of parents talking about the issues that concern them most, provides fantastic insight for anyone who supports a child with autism. *throughout this short course, parents will include carers and others with parental responsibility. This course is based on the Understanding section of our licensed course Learning Strategies. There are many theories of learning. This course looks at the most useful theories, what they have in common and how they can inform classroom practice. 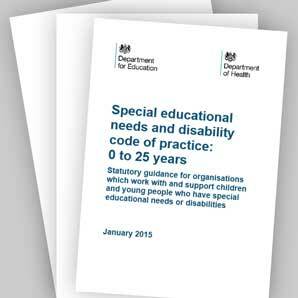 An introduction to the Special Educational Needs and Disability (SEND) Code of Practice: 0 to 25 years, 2014 (revised 2015)*. The course reorganises text from the Code to make it more accessible for education professionals. It doesn’t include the detailed information relating to local authorities and health services. There’s a self-assessment to help you check how well you’re meeting your responsibilities under the Code, which you can revisit and update. *referred to in this short course as SENDCoP 2015. The course is based on the experiences of local authority Information, Advice and Support Services, who work to improve relationships with parents/carers*. It looks at the needs of parents of children with SEN, the issues they face and how they can be supported. 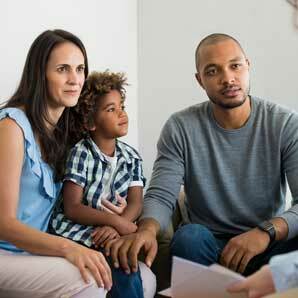 It considers how we communicate with, and provide information to, parents in different contexts, and provides a few useful tools to enhance your practice. *throughout this course, parents will include carers and others with parental responsibility.